Yet a more immediate threat lurks to the south, where Jon Arryn, the Hand of the King, has died under mysterious circumstances. Now Robert is riding north to Winterfell, bringing his queen, the lovely but cold Cersei, his son, the cruel, vainglorious Prince Joffrey, and the queen's brothers Jamie and Tyrion of the powerful and wealthy House Lannister-the first a swordsman without equal, the second a dwarf whose stunted stature belies a brilliant mind. All are heading for Winterfell and a fateful encounter that will change the course of kingdoms. 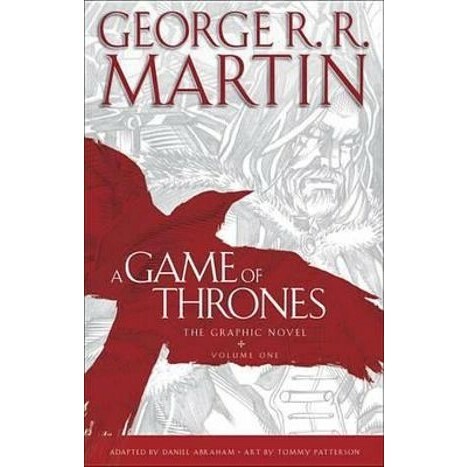 George R. R. Martin is the #1 New York Times bestselling author of many novels, including the acclaimed series A Song of Ice and Fire-A Game of Thrones, A Clash of Kings, A Storm of Swords, A Feast for Crows, and A Dance with Dragons. As a writer-producer, he has worked on The Twilight Zone, Beauty and the Beast, and various feature films and pilots that were never made. He lives with the lovely Parris in Santa Fe, New Mexico. Daniel Abraham has been nominated for the Hugo, the Nebula, and the World Fantasy awards, and won the International Horror Guild Award. He has written the graphic novel adaptations of George R. R. Martin's Fevre Dream and Skin Trade, as well as original scripts for Wild Cards: The Hard Call. Tommy Patterson's illustrator credits include Farscape for Boom! Studios, the movie adaptation The Warriors for Dynamite Entertainment, and Tales from Wonderland: The White Night, Red Rose, and Stingers for Zenescope Entertainment.